The two fighters met in a featherweight bout at the UFC Philadelphia from the Wells Fargo Center in Philadelphia, Pennsylvania. When it looked like Emmet was about to lose by decision, he laneded a nasty over hand right that finished Johnson. 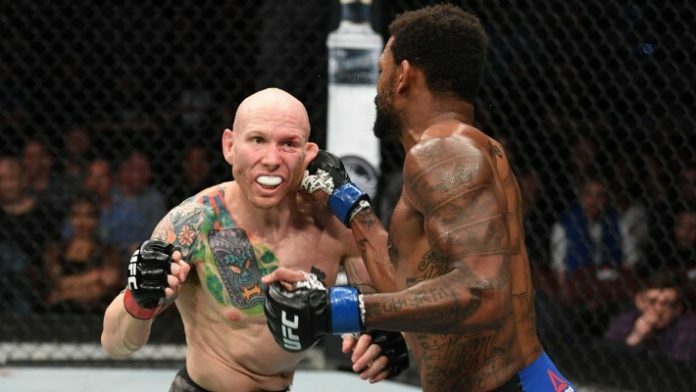 MMA News is providing ongoing coverage of UFC Philadelphia. We’ve got you covered with live results, video highlights, and post-fight tidbits.